Yet they were drawn swords." A policy requiring "training" is completely useless. You can do all the "training" in the world. Unless there are sanctions for bad behavior, nothing will change. Based on everything this author has ever heard about sexual misconduct at the Capitol, the most important sanction, by far, would be loss of committee chairmanships. Geren's already had to backtrack from his position last week, but he's still stonewalling over what he actually knows. While we respect victims' need for anonymity, not requiring written complaints is a way to get around the Public Information Act. Any "independent entity" that reviews complaints will have to adjudicate them very quickly to have any teeth. There need to be immediate legislative consequences if a change of policy is going to mean anything. If complaints aren't resolved until after the session, you can't do anything except hope the voters decline to rehire the offending member. More than four months later, Rep. Geren is a driving force for a bill critics say will save the telecommunication giant AT&T hundreds of millions of dollars while taking needed revenue from city coffers in Austin and beyond. Ellmer has an interest in the company’s success in Geren’s Texas House of Representatives. She holds a contract from AT&T worth up to $99,999 to try and influence lawmakers to vote on issues favorable to AT&T. In fairness to Geren, he did marry the poor girl following the session. 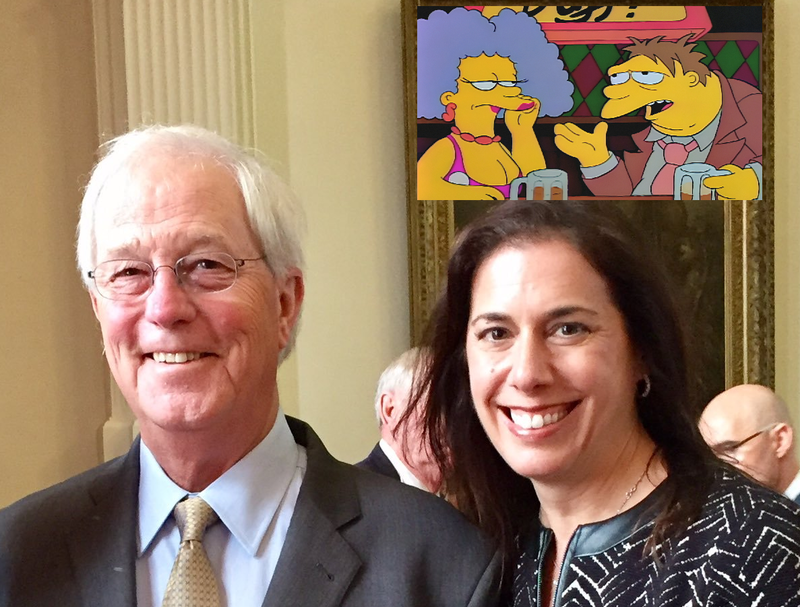 So Charlie Geren is now merely married to a lobbyist, as opposed to living in sin with one. But this is the guy the Texas House wants to oversee the creation of a new policy related to sexual misconduct and influence peddling. Bottom Line: We suppose there's a romantic quality to a corrupt politician finding true love with a skanky lobbyist trading sexual favors for legislative influence, but to allow the politician in question to write a new "sexual harassment" policy seems...shortsighted at best.